Social media is undoubtedly a lot of fun and many a brand, including personal brands, have established themselves with social media. From emojis to videos, the visual form of messaging has taken the social media platforms to yet another level. Facebook, a popular social media platform has said that the most-used emoji on Facebook in the U.S. during the past 30 days was rolling on the floor laughing, while face throwing a kiss was tops on its messaging application. Globally, face with tears of joy topped Facebook in the past 30 days, followed by smiling face with heart-shaped eyes and face throwing a kiss. 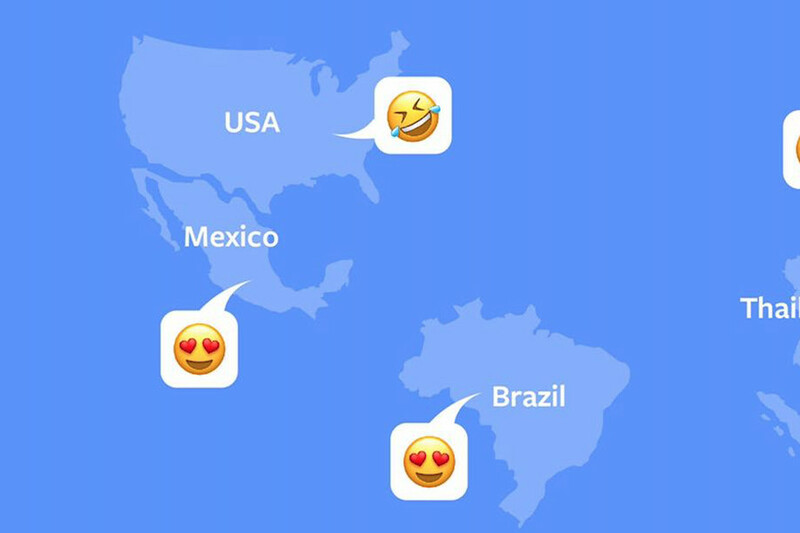 Mexico and Brazil are keen on the heart-eyed emoji. I take it as a comfort, rather than a snub, that the eggplant emoji does not appear even once on this list. Zuckerberg, Facebook’s CEO sent out a graph that shows the most preferred emojis globally. The emoji graph however, exempted the African continent bringing up a crucial question, are Africans on social media? Five years ago, it would have difficult to anticipate the importance of social media in Africa as a key communications tool with tools like WhatsApp, Viber and more recently WeChat. For some Africans, the newsgroups within WhatsApp alone have become a primary source of news and entertainment. Facebook has been important for sharing news and local information. But in countries where the press has been weakened or compromised, having outlets to share news has been more important than ever. Local newspapers do great work across the continent, but they also need social media to reach as many readers as possible, particularly younger ones. The transformation of “social media” to plain old “media” is happening fast in advanced economies, but in emerging countries, particularly in Africa, the impact of that transformation may already be apparent. The decentralization of media and communications may seem a threat to those who have traditionally controlled the levers of power, but the true, and mostly positive, influence of social media has only just begun. It should be embraced and recognized by the social media managements.